This entry was posted in emergence, knowledge, organisations, social science, strategy and tagged emergence, pragmatism, Richard Rorty, solidarity, strategy, vision on January 14, 2010 by Chris Mowles. I recently served on an interview panel for a senior management post for a small not for profit. It was an interesting experience for encountering in condensed form how a sample of candidates, all with pretty good experience and qualifications for the job, understand the practice of management. This entry was posted in international development, management, politics, power, strategy and tagged ideology, interviews, management, politics, power, strategy on December 8, 2009 by Chris Mowles. I was struck in some work I am involved in at the moment how the phrase ‘being strategic’ is just as difficult a concept to unpick as is ‘living our values’ or ‘fulfilling our vision’. All these phrases appeal to universalities partly as justification for action but partly as a way of overriding dissent. So the idea of being strategic is the claim by managers that they have, as Norbert Elias put it, made a detour via detachment. They have tried to stand back from the day to day hurly-burly, and drawing on hindsight and foresight, have tried to develop a more reality-congruent way of working. 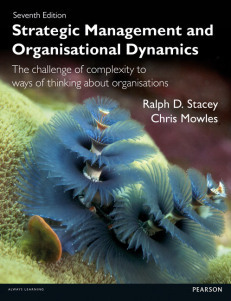 This entry was posted in complexity, management, Norbert Elias, organisations, politics, power, Values and tagged Norbert Elias, politics, power, strategic, strategy, Values on June 27, 2009 by Chris Mowles.